This book was written to be both practical and inspiring, as a source of critical information needed by anyone considering growing plants vertically, whether for food or amenity. Vertical gardens are increasingly important in our modern world, particularly in any places where space is at a premium. Growing this way allows us to fit many more plants into every square metre of land. It allows food to be produced in cities and urban areas, and it increases the biomass able to be established within built up areas. There are many advantages to be had from having more vegetation in any area. Plants help reduce temperature fluctuations, so summer can be cooler and winter may be warmer. Vegetation also reduces flooding, wind damage and other environmental affects; soaking up rain, filtering air pollution and slowing winds. Growing plants vertically though can be quite different to growing them horizontally. The weight of a wall of green can become extreme if not properly engineered, particularly when it is wet. Plants at the bottom of a wall can build up moisture and nutrients draining from above; leaving the bottom too wet and the top too dry. Considerations such as these need to be understood and accounted for. 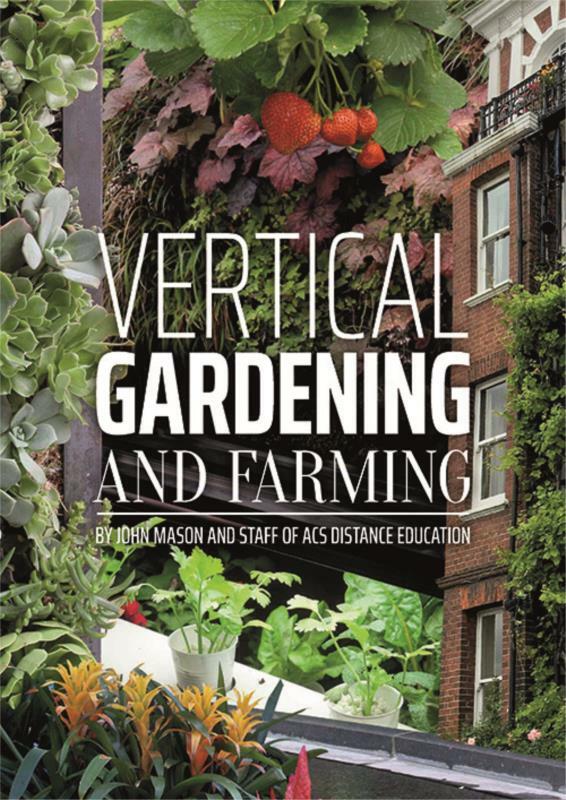 Gardening and farming vertically is more than first meets the eye; but it is certainly quite feasible, particularly after you read this book.